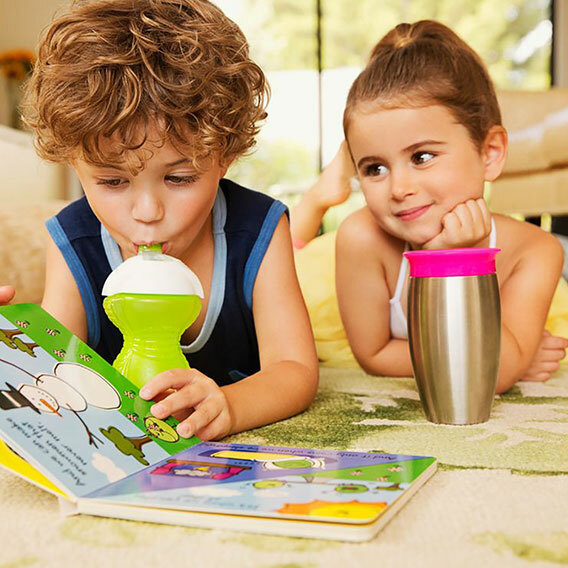 Your little one brings their Miracle® cup with them everywhere! But what happens when the pieces of their beloved cup go missing? Not to worry! This two-pack of replacement collars will twist into your tot's favorite Miracle® 360° Stainless Steel Sippy Cup. So instead of scavenging for missing pieces, you can go on with your day and make it to your toddler's gymnastics class...on time! Please note that the collars do not include the silicone valve. Miracle® 360° Replacement Valves are sold separately.